Mohamed Youssef is currently Sr. Applications Chemist for Biotage where he applies his 18 years of experience to develop and present novel GC, GC/MS, HPLC, LC/MS/MS and SPE/MS/MS application directed toward clinical, forensic, and biopharmaceutical industries using a variety of sample prep techniques. 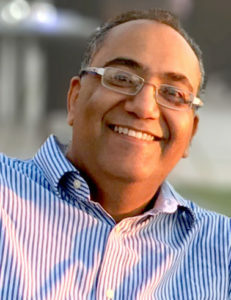 Youssef previously served as Technical and R&D Director for Amerispec Diagnostics FZ-LLC – the first ISO accredited reference clinical laboratory using Mass Spectrometry in the UAE and in the Middle East – where he was responsible for overseeing all testing activities in the laboratory to ensure rapid economical and efficient turnaround of high quality test analyses. Previous to that, he was Regional Sales and Support Manager for the Northeast for MedTest DX., also as a Manufacturer’s Representative (New England Clinical Account Manager) for Agilent Technologies. Prior to that, Mr. Youssef served as an Applications Scientist for Agilent Technologies. Prior to Agilent Technologies, Mohamed was a Clinical Applications Specialist at UMass Memorial Medical Center. In this role he was responsible for developing methods using Mass Spectrometry, Chromatography instruments, and providing clinical scientific education. Mohamed held various positions in reference clinical laboratories such as Quest Diagnostics and Mayo Medical Laboratories, concentrating on Toxicology and Therapeutic Drug Monitoring. Mr. Youssef holds an MBA Degree from The D’Amore Mckim School of Business at the Northeastern University, in Boston, MA. Bachelor Degree in Toxicology from Bouve College of Health Sciences at the Northeastern University, in Boston, MA. and a Bachelor Degree Chemistry from Alexandria University, in Alexandria, Egypt.